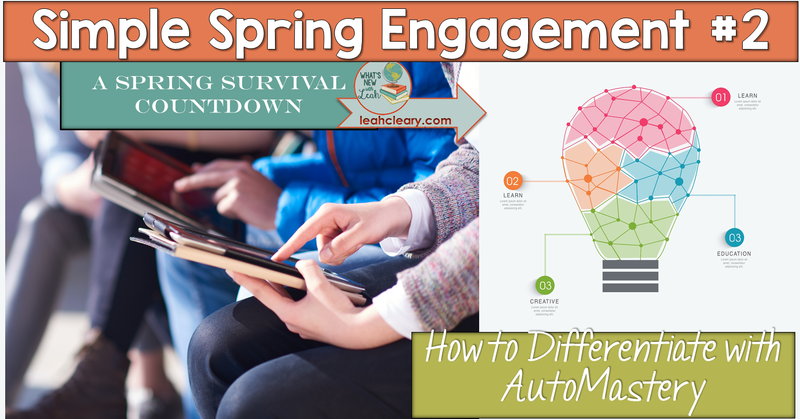 I've been counting down to summer break with simple spring engagement tips. It's hard to believe that there are only two weeks left in the 2017-2018 school year, but our goal is to finish strong (even though most of us [ahem...me] aren't feeling strong). In the words of one of my former admins, "We need to outlast them." This week, I want to talk about an INSANELY simple way to differentiate. In this end of the year context, I'm using it for exam review. But that doesn't do it justice...not at all. We can use this tool to differentiate all year. With MINIMAL effort. Think pretests and other formative assessments having leveled assignments pushed out to students based on their scores. AUTOMATICALLY. 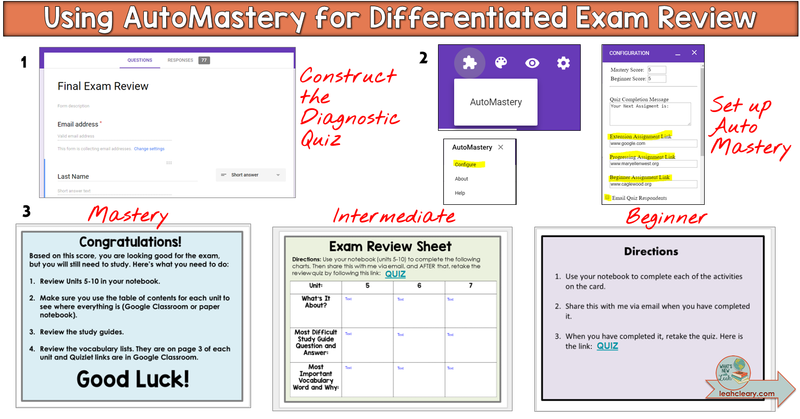 Thank you, MaryEllen West, my hero, for creating this astoundingly useful differentiation tool. 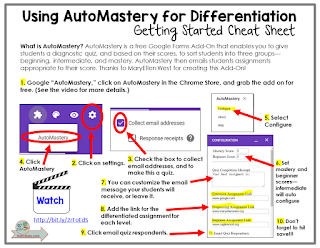 Scroll to the end of this post for a video tutorial and downloadable Cheat Sheet for using the free Add-On AutoMastery. AutoMastery is a free Google Forms Add-On that enables you to give students a diagnostic quiz, and based on their scores, to sort students into three groups—beginning, intermediate, and mastery. AutoMastery then emails your students assignments appropriate to their score. 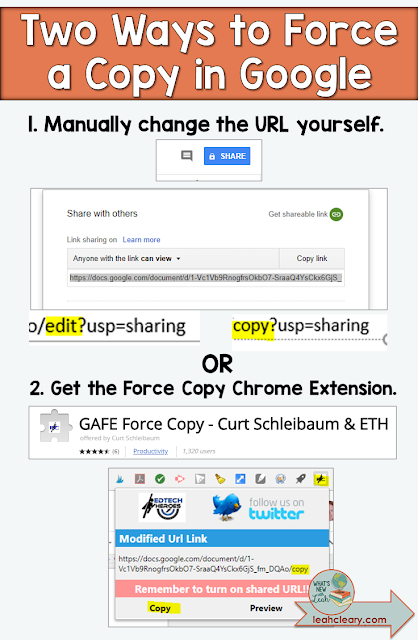 Of course, you set up assignments and assign the links--just remember to change the link to force a copy if you are using Google Docs or Slides so that the students can edit without messing up your originals. Thanks to Natasha Rachell for the time-saving Force Copy tip! 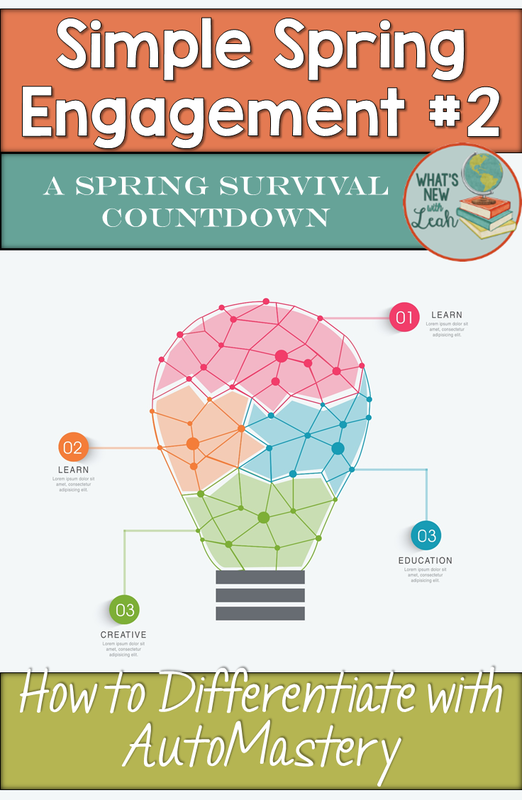 Exams are the Bane of Spring, especially in content-heavy courses where we have to work right up to exam time to finish. AutoMastery can save the day here. 1. Create a diagnostic quiz in Google Forms that encompasses major ideas from each unit the exam will cover. I did 25 questions and explained to the students that it was not comprehensive, but diagnostic. 2. Set three levels for the score. I did below 70 for Beginner and above 90 for Mastery. AutoMastery then makes the Intermediate level between 70 and 89 automatically. 3. Force a copy link for the three different assignments and paste the links into the levels in AutoMastery. 4. Instruct students to check their email when they finish the quiz and to complete the review assignment. This intrigues me! Right onto my Pinterest board it went! Thanks for the idea. 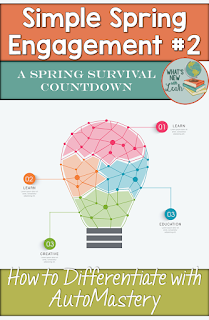 I hope you give this a go and it works out--I love how it simplifies differentiation. This is what tech is for!